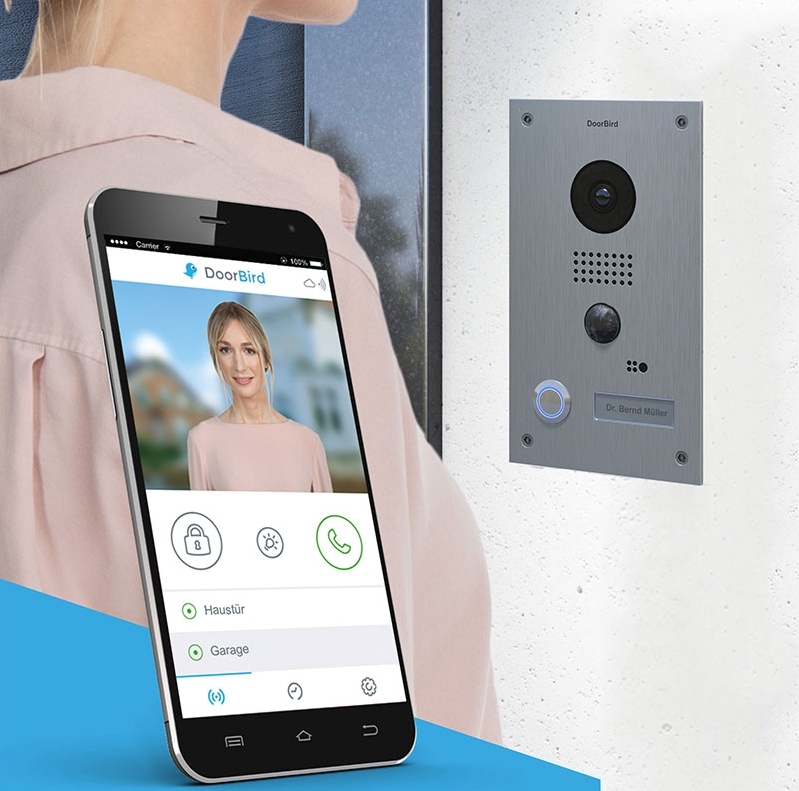 With DoorBird, you never miss a visitor. Be on the road and home at the same time. 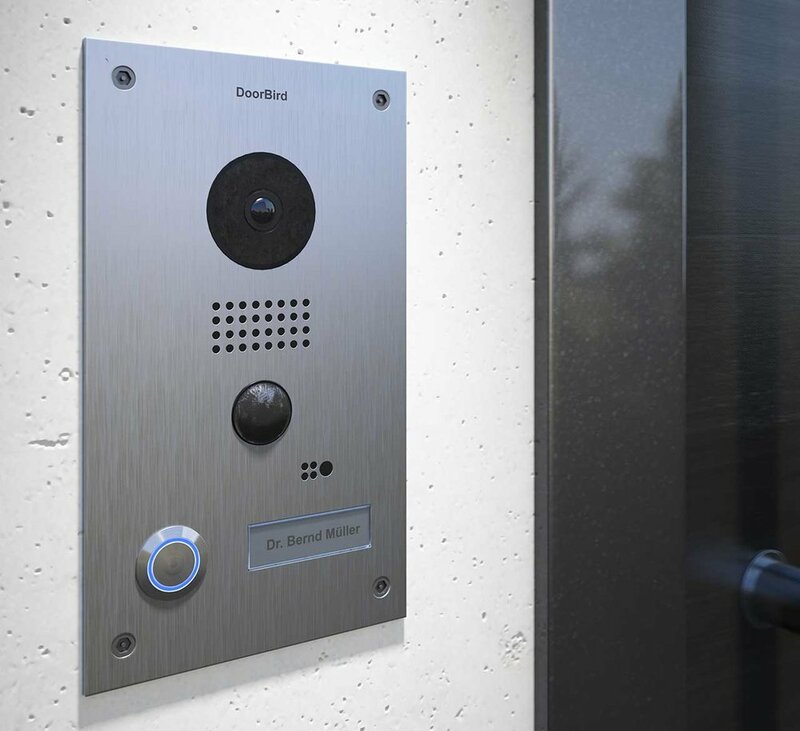 You can see your visitors, speak to them and open the door by smartphone or tablet –from anywhere in the world. No more dead batteries or loss of signal. Unlike Ring, we use your existing doorbell wire for a hardwired connection for both power and network. Made in Germany from high-quality stainless steel, this product is top-notch. The competition’s product can be mistaken for a plastic toy! Sound & Vision adds a whole host of additional possibilities. Contact us today for more information on how to get this amazing system professionally installed in your home. Perfect all-round visibility: Thanks to the integrated high-end motion sensor you always know what happens in front of your home. The 180° infrared motion sensor can, if desired, set off an alarm – without the visitor having rung the doorbell. DoorBird is manufactured in Germany. A guarantee for the highest levels of quality and production standards. Temperature-resistant from -20° to +40° C, rain water protection in accordance with IP65 industry standard, a stylish product design with high quality stainless steel models.